Trucom is manufacturers of high performance and long life walkie talkie. Today's competitive environment need to have strategic communication tools like Walkie talkie, two-way radio and constantly use information systems to effectively manage business activities. Trucom are well-equipped with deep industry knowledge and powerful expertise in regard to radio communications. Trucom provide highly reliable communication solutions and service to help customers generate value and competitive gain, through the range of innovative and industry-leading communication solutions and after-sales services targeted at diversed industries. Why to choose Trucom Walkie Talkie? The Company has rich experience in the field of Wireless Communication in the Indian Market. - 24x7 network availability. Just push to talk. - Walky Talky device life upto 8 years. Trucom walkie talkie are available in two models Trucom T360 and Trucom T500. 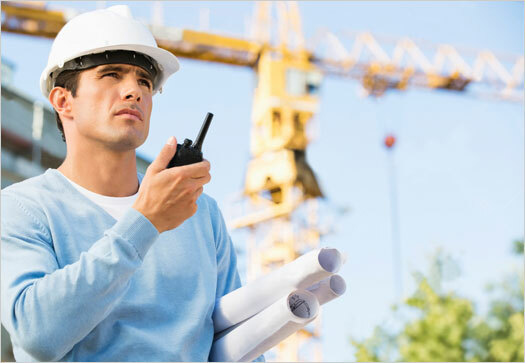 Trucom Walkie talkie and two-way radios have the technology you need to increase productivity and maximise your performance in the industry and business environment. Many organizations across the world are using two-way radios for internal communications between and among their personnel. Trucom walkie talkie are also known with some other names in India like walky talkie, wireless walkie talkie, Trucom Walkie Talkie, Digital Walky talky, VHF Walky talky, VHF Digital Walky talky, Walkie Talkie, Digital Walkie Talkie, VHF Digital Walkie Talkie, VHF/UHF/HF Two Way Radio Wireless Sets, Airband, Land Mobile Radio, Cost effective Wireless Radio communication devices etc. Also being a service provider, we offer cost efficient services for Comprehensive Network Management, Wireless Solution, Repair/ AMC & Installation of Wireless Sets, etc. Trucom Walkie talkies and two-way radios also carry accessories and spares for Trucom two-way radios. Our Walkie Talkie accessories includes Audio Accessories, Battery Pack, Antenna, Walkie Talkie Chargers, Walkie Talkie Adaptors, Belt Clip, Hand Strap, Multi Unit Charger, Carry Case etc. Service & Repairs. Trucom is well know manufacturers and exporters of high quality Walkie Talkie in India. We are the Indian exporters of high performance two way radio communication walkie talkie products, exporting to worldwide countries like Nigeria, Ethiopia, Democratic Republic of the Congo, South Africa, Tanzania, Kenya, Algeria, Sudan, Uganda, Morocco etc.